The centerpiece of Émilie Du Châtelet’s philosophy of science is her Foundations of Physics, first published in 1740. The Foundations contains epistemology, metaphysics, methodology, mechanics, and physics, including such pressing issues of the time as whether there are atoms, the appropriate roles of God and of hypotheses in scientific theorizing, how (if at all) bodies are capable of acting on one another, and whether gravity is an action-at-a-distance force. Du Châtelet sought to resolve these issues within a single philosophical framework that builds on her critique and appraisal of all the leading alternatives (Cartesian, Newtonian, Leibnizian, and so forth) of the period. The text is remarkable for being the first to attempt such a synthetic project, and even more so for the accessibility and clarity of the writing. 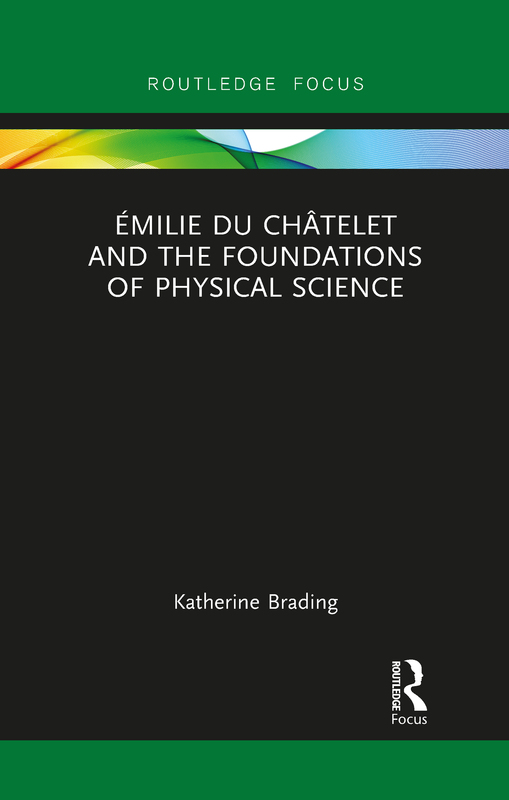 This book argues that Du Châtelet put her finger on the central problems that lay at the intersection of physics and metaphysics at the time, and tackled them drawing on the most up-to-date resources available. It will be a useful source for students and scholars interested in the history and philosophy of science, and in the impact of women philosophers in the early modern period.